The Mavic Pro was a revelation. It wasn’t a perfect product, to be sure, but it represented a new paradigm for DJI and the consumer drone industry in general. It was compact, folding up into a nice, portable package, while still being portable enough to shove into a backpack. 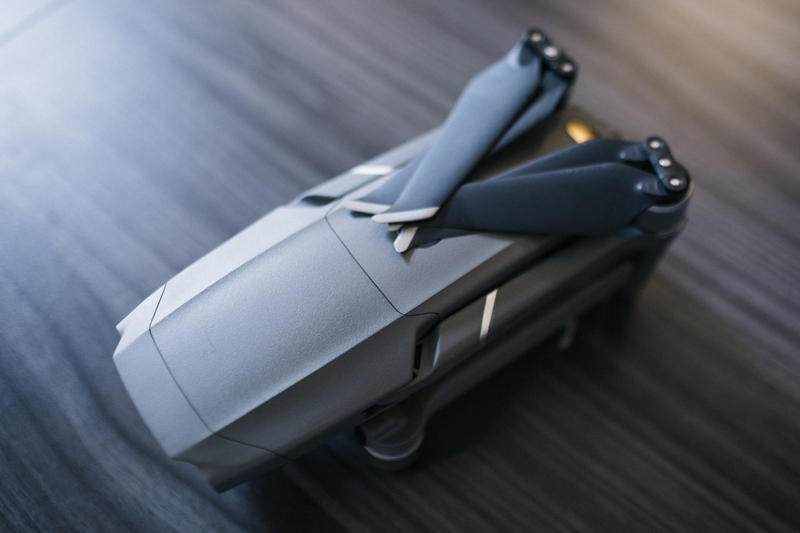 It was also the beginning of a new line for the company, paving the way for the Mavic Air and Spark — both even more portable than their predecessor. In the two years since it was introduced, however, the company hasn’t touched the flagship product. 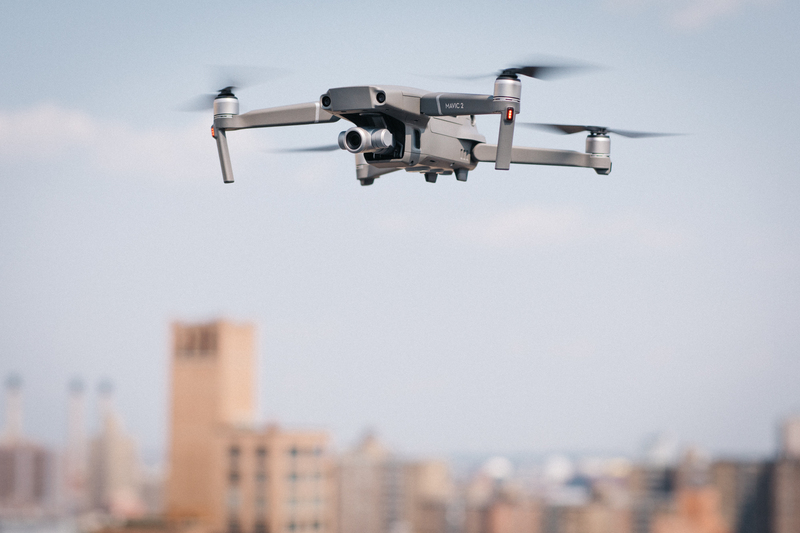 That changed early this month, when the company revealed the Mavic 2 at an event in Brooklyn. Even more so than the original, the Mavic 2 is focused on imagining. In fact, the camera is so central to the update that the company actually split the product into two SKUs — the Mavic 2 Pro and Mavic 2 Zoom. The front-facing camera is the only real distinction between the two devices. It’s a bit of confusing branding, perhaps — especially in a line that already contains several different models. 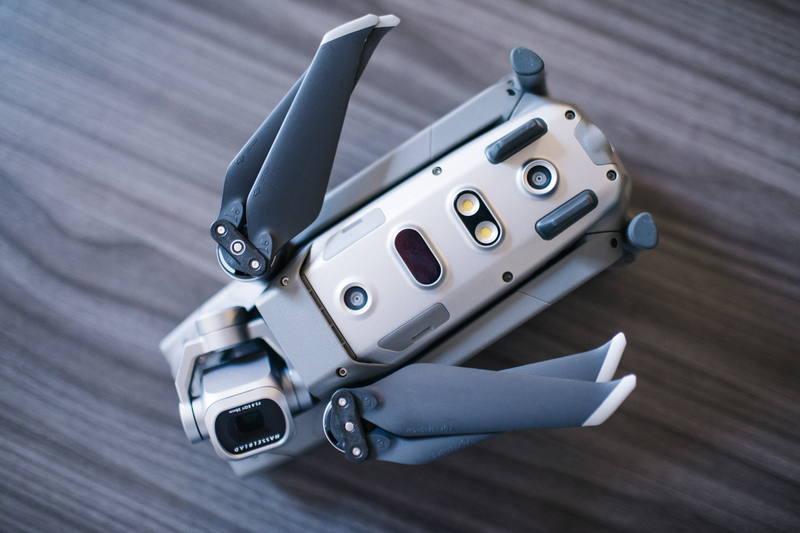 More to to the point, it’s a bit disappointing after the initial round of rumors suggested that the company might be introducing a drone with a modular gimbal. 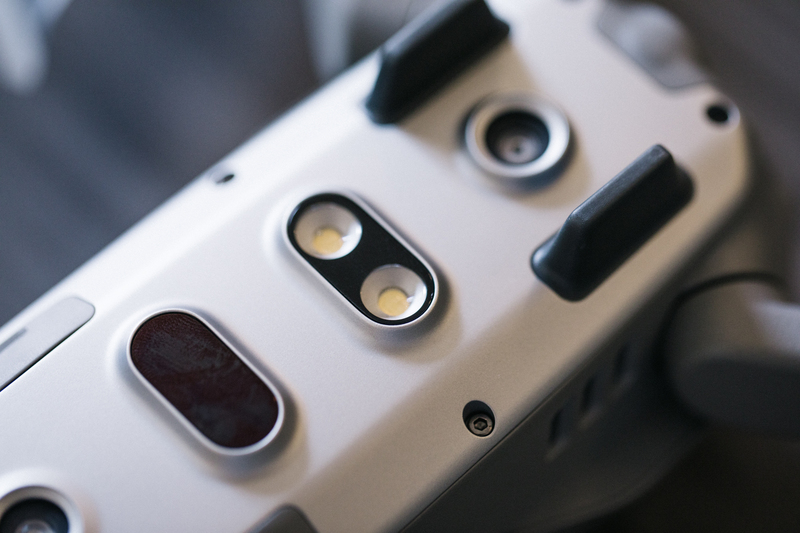 Imagine the possibilities of swappable cameras for photography professions. That, sadly, will have to wait for a future update. Beyond the camera, the update over its predecessor is fairly minimal given the two-year gap. In fact, I’d like to say upfront that this isn’t really enough to justify a purchase for those who own the first version — unless, of course, you’ve crashed it into one too many birdhouses. Of course, drones are not smartphones, and as such, they really shouldn’t be held to the same standards. And really, just about all of the upgrades are welcome here. If there’s one nit to pick, it’s that the new Mavic is notably larger than the original. It’s a surprising move, given how essential size and portability are to the whole enterprise. This is due, in part, to the fact that the company has made some aesthetic changes in the name of making the thing more aerodynamic. The upshot of that is faster speeds. The Mavic 2 is capable of traveling up to 44 miles an hour — pretty zippy for a mainstream consumer drone of its size. Of course, in order to support a heavier drone, you need a heavier battery, which in turn makes the whole thing heavier. You see where I’m going with this. The other downside: The new drone doesn’t work with the old one’s batteries. Even so, the company’s managed to squeeze more life out of the thing, upping life from 28 to 31 minutes. Not a lot, sure, but when it comes to these devices, every minute counts. And given the fact that the last drown I flew was the 18-minute Mavic Air, that addition makes all the difference in the world. When you’re running low on juice, the app will notify you, loudly. If you want more time, the batteries are swappable, and the company has made it possible to purchase its Fly More Combo (two batteries, a multi-battery charger and extra propellers, among others) at any time for $319. There are other tweaks here and there. Raked tips on the propellers and an adjusted motor means things run more quietly. You likely won’t notice a huge difference there, and it still sounds a bit like a lawnmower, but every little bit counts. The on-board tracking and obstacle avoidance systems have been adjusted, as well. The latter is pretty impressive for the most part, coming to a stop in the air when it spots something in its path. I’m going to be honest, this is my favorite part of testing these things. I did, however, manage to nick a tree, once the drone was out of my line of sight, sending it spiraling to the ground below. On the upshot, this was the ideal opportunity to test the tracking. I was able to find the drone pretty quickly using the app. Also, while there was a superficial scratch on the side of the drone, it was otherwise unscathed. I was able to get it back into the air quickly with no issues. The cameras on the product are impressive, as promised. 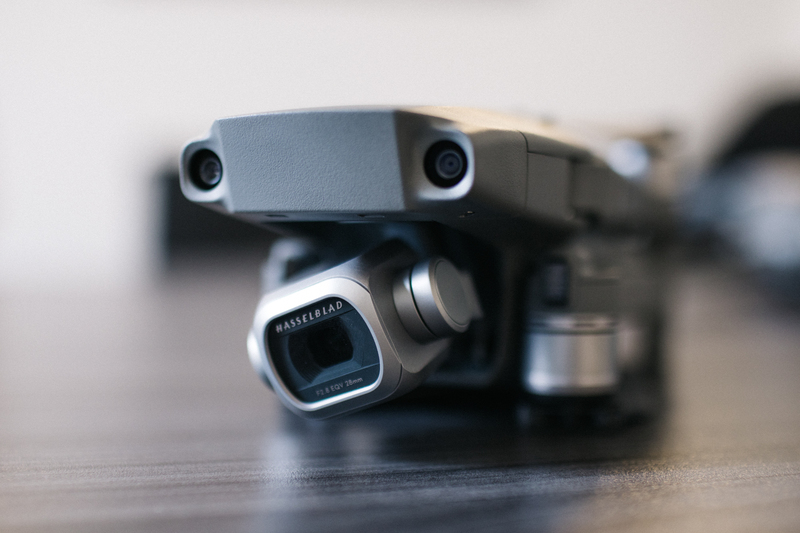 The Mavic 2 Pro is the first product from the company to sport a Hasselblad-branded camera since DJI bought a massive chunk of the legendary Swedish camera maker, though I suspect there’s going to be a lot more where that came from. The camera has a 20-megapixel 1-inch sensor like the one found on the Phantom 4 Pro. Frankly, the device makes that model somewhat redundant, though the company tells me it’s sticking around. Unlike some of Hasselblad’s standalone cameras, there’s little lag in processing. And the pictures are great, as advertised. Our video producer Veanne described the output as “sharp” and “clear,” with an “epic” wide angle. This is a solid selection for those who want nice videos/still, without having to cart around a massive device. The Zoom’s camera is a bit of a step down, but the 2x optical (24-48mm) and 2x digital zoom are able to simulate the effect of a 96mm lens. Honestly, that’s going to be a much more valuable tool for many videographers than the Hassleblad — particularly for those instances when it’s hard to get close in on an object for any number of reasons. At $1,249, the Zoom is also $200 less than the Pro. I’d lean pretty heavily in that direction if I were agonizing over which model to purchase. There’s also the added bonus of Dolly Zoom, an extremely cool new mode that zooms into an object while the drone flies in the opposite direction, causing a disorienting effect similar to the one heavily used by Hitchcock in films like Vertigo. Unsurprisingly, those require several minutes to get good shots. Don’t try them once the battery warning starts beeping. The app will still attempt it and then emergency land the drone before completing. Control is pretty similar to the other models. The controller works well with both Apple and Android handsets, though larger ones like the Galaxy Note 9 are a bit awkwardly large to slot in. While actually getting off the ground for the first time is a bit of a chore, flying is surprisingly intuitive, once you get the hang of the two different joysticks. All in all, it’s actually not a bad starter drone, if you can afford it. With a starting price of $1,249, it’s not the cheapest on the market, but in terms of class, the Mavic products continue to be unmatched.